The following press release was shared by the Industry Council for Tangible Assets. Minnesota Gov. Mark Dayton recently signed the Minnesota SF 3175: Bullion Product Dealers Regulation Authorization, culminating major legislative effort led by the Industry Council for Tangible Assets (ICTA) to reform the most troublesome law for coin dealers in modern memory. The new law amends the state’s “Bullion Coin Dealer Law,” passed in 2013, which applies to dealers at all levels of the industry and throughout the country, and imposes onerous regulations that were impossible to comply with. ICTA’s Chairman, Harry Miller, explains. “Most coin dealers in the U.S. probably had no idea they were subject to this Minnesota law. But many were affected, even those who thought they had never done business in the state, because of the broad way in which the law was written,” Mr. Miller said. Miller said ICTA spent more than $160,000 to hire legal and lobbying representation, met with elected officials, sent hundreds of letters and emails, held many meetings with the Minnesota Department of Commerce, and worked with key legislators Rep. Joe Hoppe (R-Chaska) and Sen. Dave Tomassoni (D-Chisholm). “We’re grateful to everyone who assisted in this effort, especially Rep. Hoppe and Sen. Tomassoni, without whom this reform of the law would not have been possible,” ICTA Vice Chairman Philip Diehl said. Amending the Minnesota law was part of an ambitious agenda of legislative initiatives across the country to maintain or establish sales tax exemptions that are crucial to preserving the viability of our industry and hobby. ICTA’s efforts are designed to demonstrate that states are better off financially when they allow sales tax exemptions. “We’re taking a moment to celebrate the victory in Minnesota, but that’s only one front in the fight to promote a robust coin industry. We have a lot of work to do throughout the country, and we need dealers to join with us in that fight,” ICTA Executive Director Kathy McFadden said. ICTA is the watchdog for the rare coins, paper money and precious metals bullion industry. For more information, visit ictaonline.org. So, can I send a gold coin to a family member in MN.? Thanks for your question, Brenda. 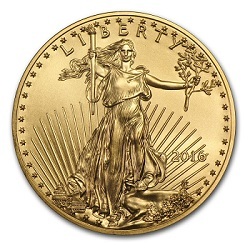 The Minnesota Bullion Coin Dealer Law concerns sales of rare coins and precious-metals bullion. Personal gifts to friends and family members are unaffected by this law. I hope that answers your question!